Mitch Clemmons Plumbing | Easy Financing | 3 ways to go! 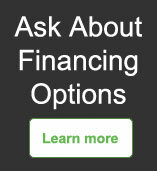 Check out our 3 options for easy financing! We process financing with you while we are in your home. On purchases of $500 or more with your Synchrony Financial credit card. $29 account activation fee will apply. Estimated payoff period 79 months. * Offer applies only to single-receipt qualifying purchases. Interest will be charged on promo purchases from the purchase date at a reduced 14.99% APR, and fixed monthly payments are required equal to 2.00% of initial promo purchase amount until promo is paid in full. The fixed monthly payment will be rounded to the next highest whole dollar and may be higher than the minimum payment that would be required if the purchase was a non-promotional purchase. Regular account terms apply to non-promotional purchases. For new accounts: Purchase APR is 26.99%; Minimum Interest Charge is $2. One-time Account Activation Fee of $29 charged at time first purchase posts to account. Existing cardholders should see their credit card agreement for their applicable terms. Subject to credit approval. On purchases of $500 or more with your Synchrony Financial credit card. $29 account activation fee will apply. Estimated payoff period 28 months. * Offer applies only to single-receipt qualifying purchases. Interest will be charged on promo purchases from the purchase date at a reduced 9.99% APR, and fixed monthly payments are required equal to 4.00% of initial promo purchase amount until promo is paid in full. The fixed monthly payment will be rounded to the next highest whole dollar and may be higher than the minimum payment that would be required if the purchase was a non-promotional purchase. Regular account terms apply to non-promotional purchases. For new accounts: Purchase APR is 26.99%; Minimum Interest Charge is $2. One-time Account Activation Fee of $29 charged at time first purchase posts to account. Existing cardholders should see their credit card agreement for their applicable terms. Subject to credit approval. On Purchases of $500 or more with your Synchrony Financial credit card. Interest will be charged to your account from the purchase date if the promotional purchase is not paid in full within 6 Months. $29 account activation fee will apply. Fixed Monthly Payments required equal to 2.5% of the highest balance applicable to this promo purchase until paid in full. * Offer applies only to single-receipt qualifying purchases. No monthly interest will be charged on the promo purchase if you pay the promo purchase amount in full within 6 Months. If you do not, monthly interest will be charged on the promo purchase from the purchase date. Fixed monthly payments are required equal to 2.5% of the highest balance applicable to this promo purchase until paid in full. The fixed monthly payment will be rounded to the next highest whole dollar and may be higher than the minimum payment that would be required if the purchase was a non-promotional purchase. Depending on purchase amount, promotion length and payment allocation, the required minimum monthly payments may or may not pay off purchase by end of promotional period. Regular account terms apply to non-promotional purchases and, after promotion ends, to promotional purchase, except that the fixed monthly payment will continue to be required until the promotion is paid in full. For new accounts: Purchase APR is 26.99%; Minimum Interest Charge is $2. One-time Account Activation Fee of $29 charged at time first purchase posts to account. Existing cardholders should see their credit card agreement for their applicable terms. Subject to credit approval.